Paxton “Pax” James is the ultimate hacker. She can do things with a computer that other geniuses just can’t. When we are first introduced to Pax she is currently trapped in Bali prison waiting to be executed for drug trafficking. Set-up by a crooked NSA agent and her supermodel coke-head ex-girlfriend, Pax finds herself in a jam that her computer wizardry can’t undo. Dr. Emma Thorpe is the head of a shadow organization loosely tied with the NSA. Emma is one of the few people with direct access to the president. She is also leading the manhunt for a hacker, not Pax, that is not threatening the American democracy. She needs Paxton to help her take this hacker down, so busting her out of prison is top of the agenda. My thoughts on this one are mixed. The first quarter of the book is really good. 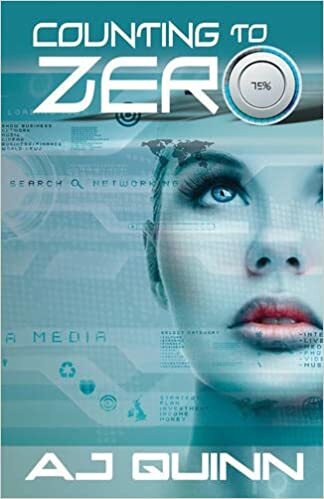 Emma’s a badass NSA agent, Paxton’s a badass hacker and you have this great story of intrigue, cyber-warfare and romance all starting to take off. Then the story in my option just becomes bogged down with ridiculous unrealistic moments. What really struck me, though, and I struggled to get past is how Emma becomes so flat and almost ineffectual as the book goes on. Paxton is almost supernatural, literally being thrown out of buildings, run over…all without the need of the emergency room or even urgent care for goodness sakes. Nope, too much at stake, she will just take a hot shower and all powers are instantly rejuvenated. I cannot tell you how many hot showers this character needed. All the while Emma becomes unable to make decisions, she had a hard time understanding computer hacking all of the sudden and really just becomes the little women for Pax to run over and save time and time again. Why would a top NSA agent need saving from a computer geek who is still malnourished from a year in a Balinese prison? Why make her flat and ineffectual? The book would have been so much better if Pax and Emma could have equals, challenging each other all the while have a romantic relationship. I think once the two main characters became romantically involved I mentally tapped out of this one. There just wasn’t much excitement anymore and I felt like Emma became so flat I was annoyed with her ability to be more that Paxton’s little woman. Also, the villain couldn’t have been blander if you tried. I maybe in the minority on this one but I do not think this book lives up to the hype. If you ask me if I like action adventure book my answer could vacillate between a yes or a no on any given day. I think what holds me back is that when you throw in a romantic element something has to give. Usually I find there be too much back story or too much adventure and not enough dialogue. It is very hard to fit in a quality romance in my opinion. In Just Enough Light by A.J. Quinn your main character is a strikingly beautiful badass with a tortured past. Kellen Ryan is the woman you want to find you if you are trapped in a perilous situation. She is a master at rugged terrain and will not hesitate to risk life or limb to get the job done. 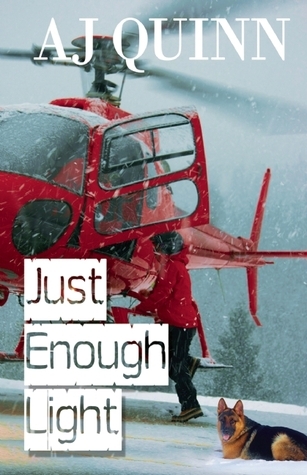 Her career is one that few can do, mountain search and rescue. Life has been far from kind to Kellen, abused by her parents, a child runaway, and now a serial killer is hunting her. Dr. Dana Kingston is a Harvard educated emergency room physician. Dana ups and leaves her life in Boston behind to avoid having to deal with her parents expectations and domineering personalities. Moving to the middle of nowhere Colorado is a chance for Dana to start fresh and stand her ground. The opportunity to practice the type of medicine she wants is the perfect opportunity to move across the country..
What really turned me off on this book, is the number of issues Kellen has. With every turn of a page there is a new trauma for Kellen to overcome, both emotionally and physically, but then you also a deranged serial killer on the loose. I feel like when there is too much going on you lose the story and it becomes ridiculously far-fetched. In my personal opinion, this book has way too much conflict. It seemed that every chapter had a new ordeal for Kellen to overcome. From my perspective as the reader, it became maddening. I could not invest any one issue, and some are horribly painful to read, because it was on to the next life altering moment. While the writing is done well, the relationship between the characters is lacking and I felt no chemistry between the Kellen and Dana. A.J. Quinn is a good writer, there is no doubt about this. Unfortunately to me, this particular novel had way too much going on. The concept was cool, I loved the search and rescue idea, I really just thought the whole serial killer shooting was implausible and ridiculous. I would have loved for the focus to be on Keller overcoming her past while developing her relationship with Dana. That in itself was enough to fill a book. I was given this book by Netgalley in return for an honest review.